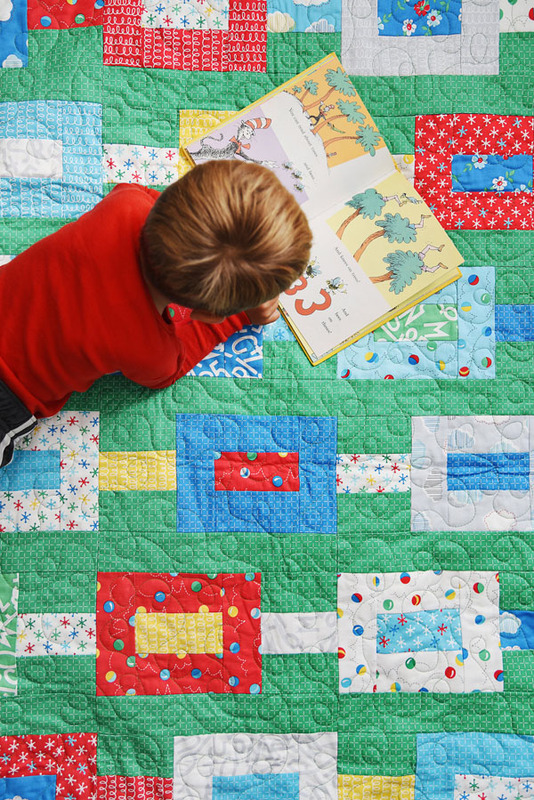 In the midst of Spring Break I made a quick quilt with a fat eighth stack of Gretel by my friend Amy Smart. With all those pretty reds and blues I’m fairly certain she designed this line just for me…maybe. 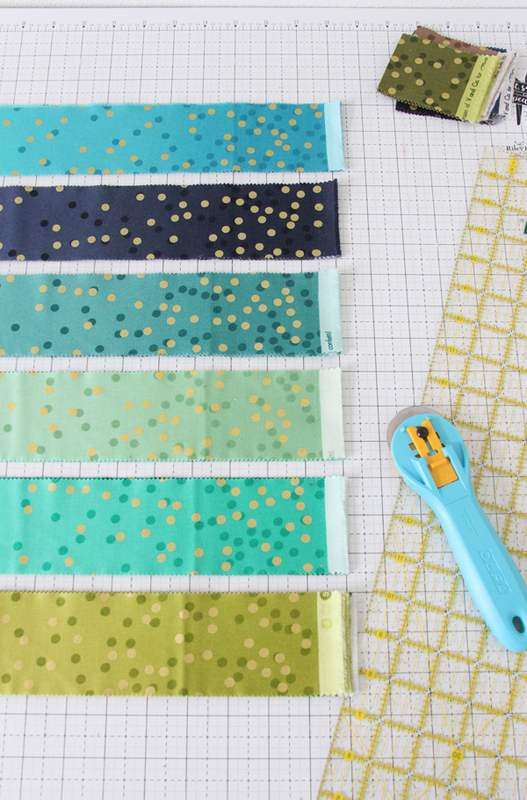 I used the pattern Fat Quarter Friday, which whips up quick and is perfect for fabrics like these with a lot of white backgrounds to mix in. This is the Crib size (I make generous crib sizes!) of the pattern which worked perfect for the fat eighths I had. 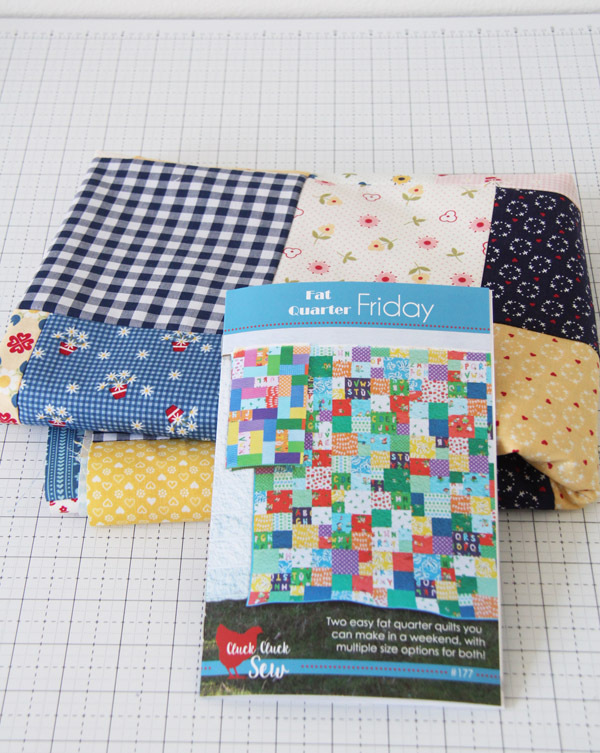 The pattern calls for fat quarters, but to use fat eighths you just cut half the pieces you normally would for a fat quarter and use more fat eighths. 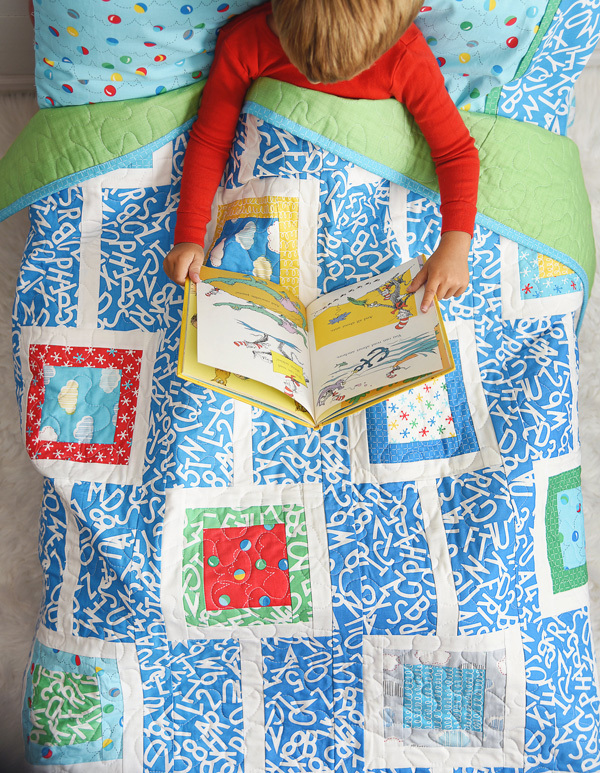 This fabric is so lovely and is in stores now. Since my oldest turned 12 a couple of weeks ago we are in the midst of moving my sewing room down stairs into the living room that we barely use, so my boys will have their own bedrooms. I’m kind of bummed to give up my dedicated sewing room, but I’m also guessing I will probably get a lot more sewing done since I’ll be where the action is. 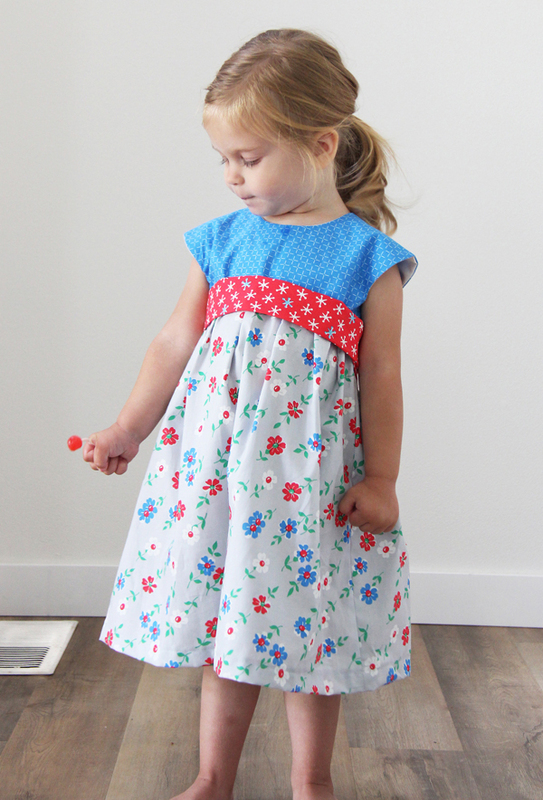 I feel like I passed into a phase of life where my kids are old enough to not get into the sewing stuff…and I can actually leave my things out without as much worry (except Jane with tiny scissors…see this post). I’ll take some photos when things get settled! Can you believe it’s the last week of March?!!! 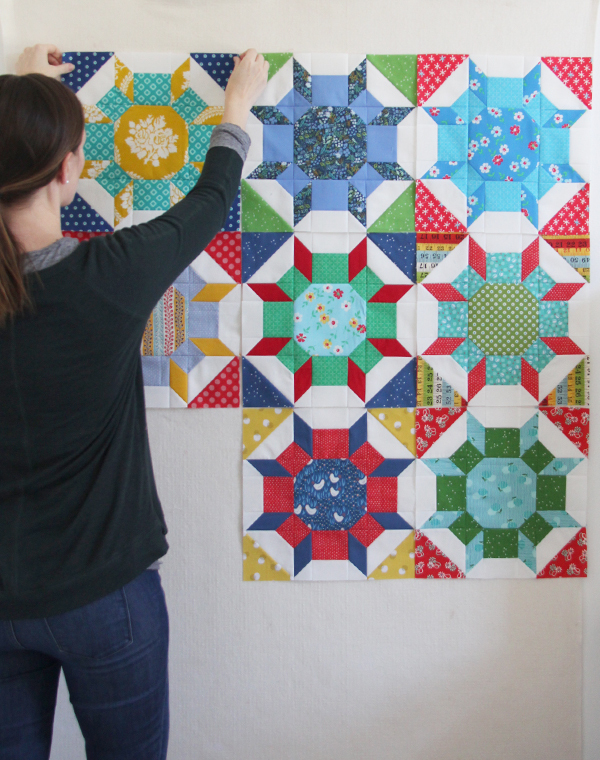 If you’re sewing Shimmer blocks along with me for the block-a-long, it’s time to make 4 more blocks if you haven’t yet! My blocks are very scrappy. 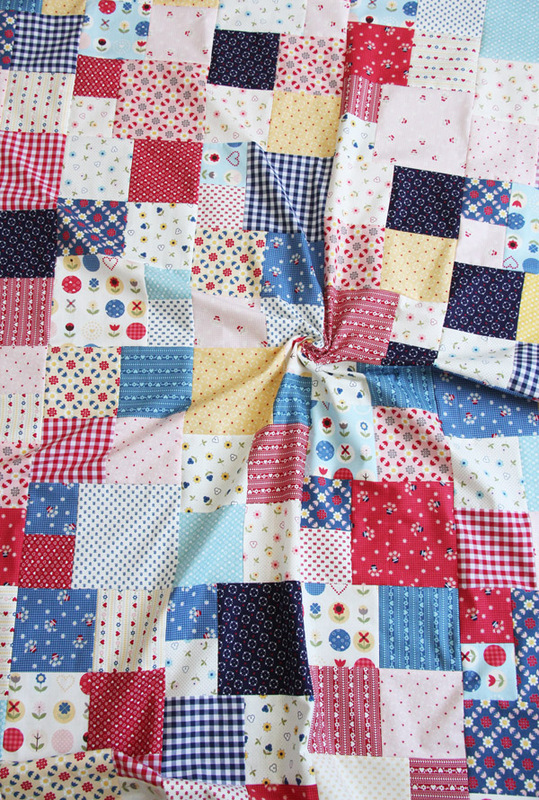 I’m choosing fabrics as I go and hoping for the best when I’m done…it might be a hot mess. I’ve loved seeing all of the Shimmer blocks on Instagram. I’ve been sewing a little bit behind the scenes with these pretty ombre fabrics. 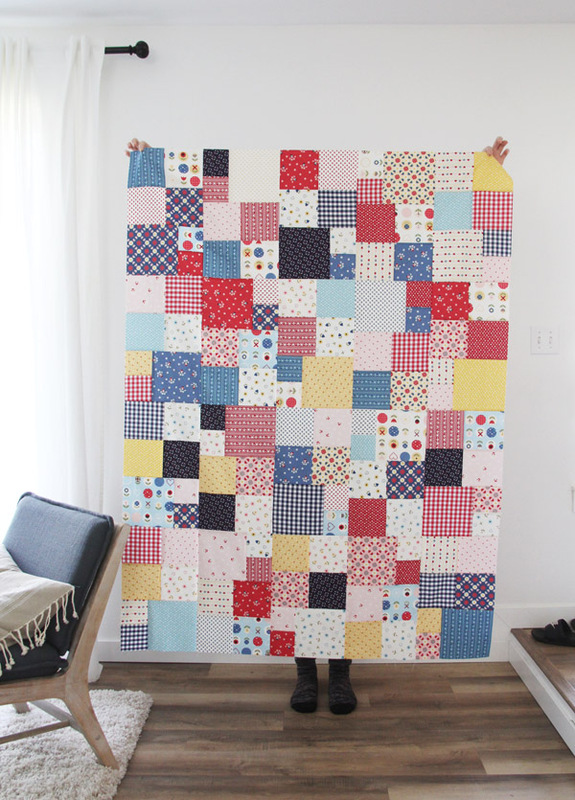 I’m hoping to share my quilt soon but in the meantime I have lots of fabric photos! The new colors of Ombre confetti, and solids come out in July. 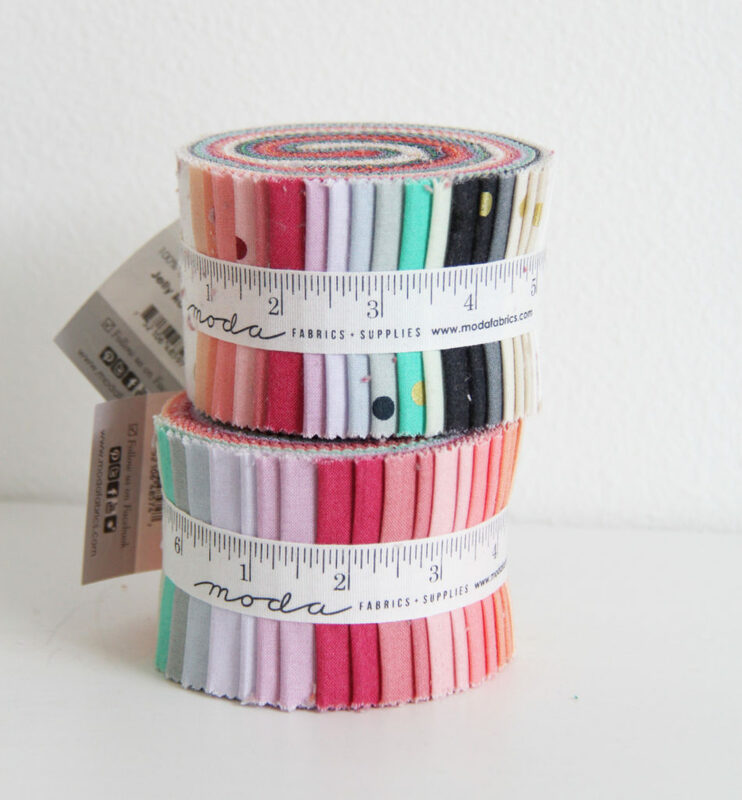 They combine perfectly with the older colors (which are hard to find now but I found a jelly roll on Etsy). My sweet Sophie turned 7 earlier this month (how?!!!). 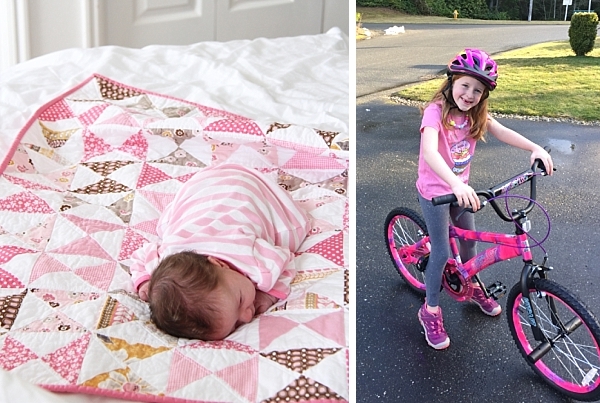 I remember making her this pink hourglass quilt (tutorial found here) like it was yesterday. This is one of my favorite photos of her happily watching me sew. 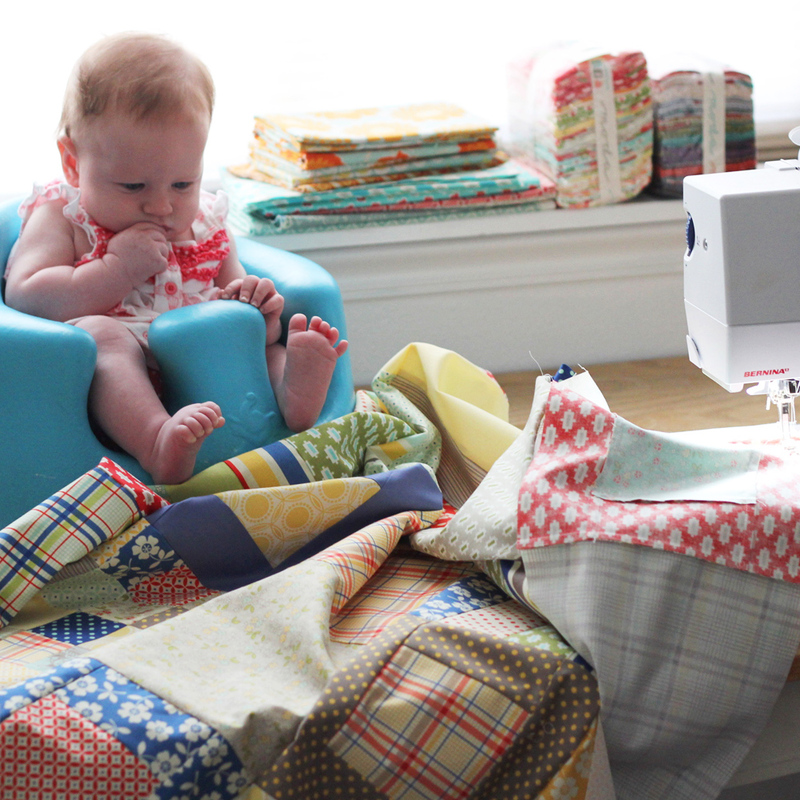 It sums up perfectly what working and sewing with small babies is like…you just make it work. 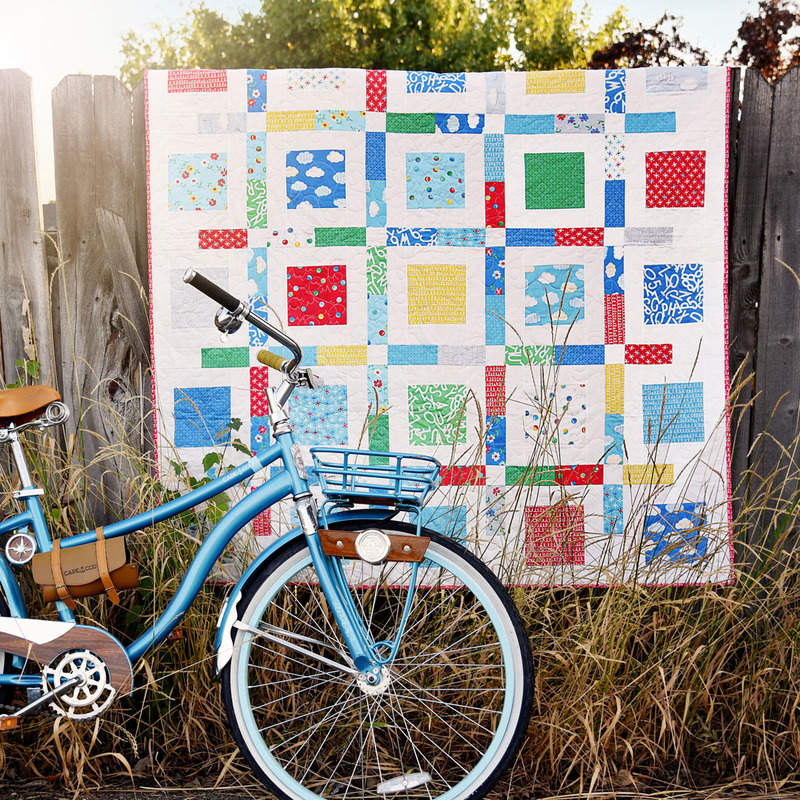 I was making this quilt (free tutorial here). 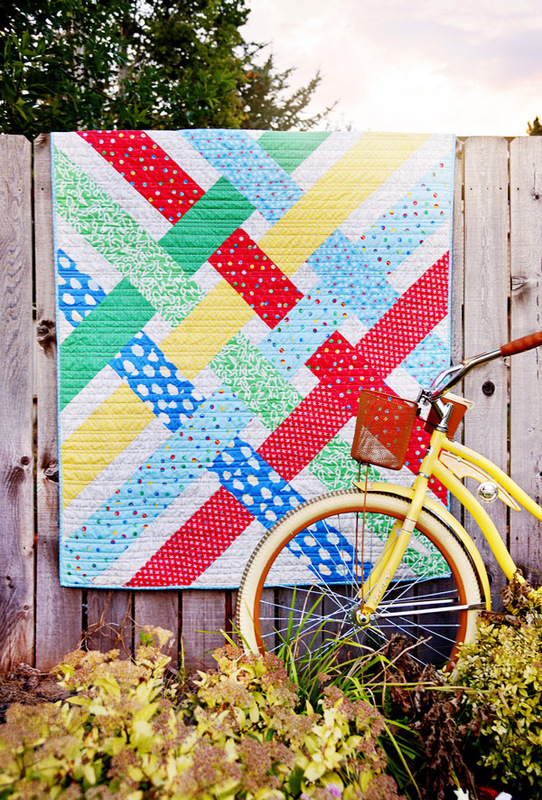 I forgot how much I love that quilt and need to remake it. This is one of my the most beautifully done simple music videos I’ve seen. I dare you not to cry. I’ve made this “healthy” pasta every week for months. My picky family loves it and it turns out perfect every time in under 30 minutes. Bounce is in the House! 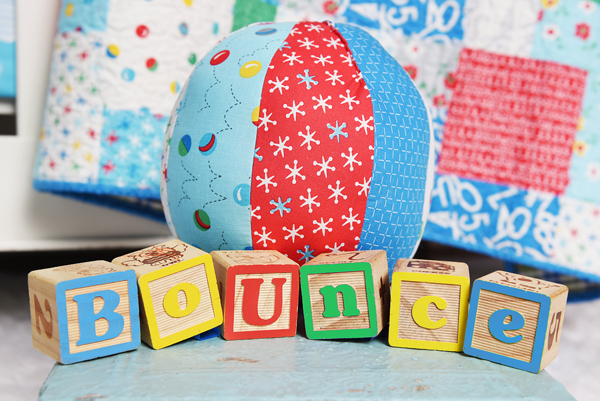 Bounce has finally started arriving in shops! 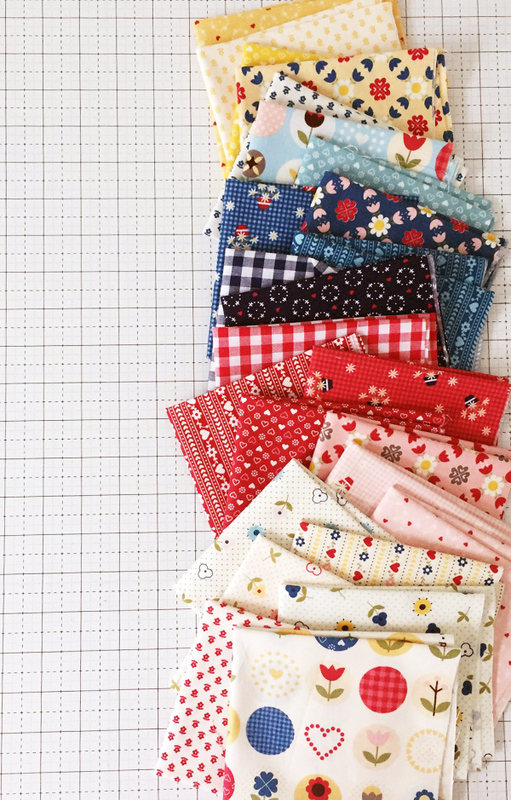 I have loved sewing with this line, I even ran out of my sample yardage, so once I got some fabric again this week I started sewing some new things I’ll share soon. Chain Reaction with the blue tossed alphabet print as the background. It also comes in a low volume colorway perfect for subtle fun backgrounds. Boxed Up with a layer cake of Bounce. 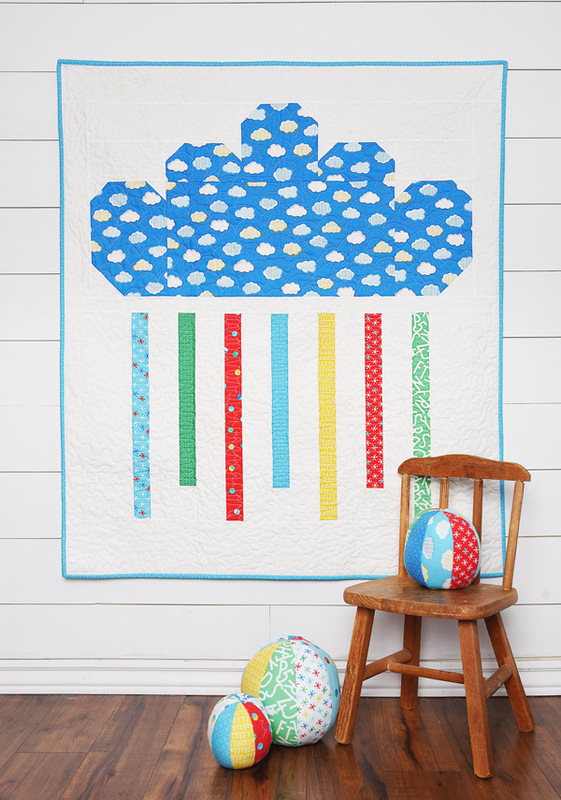 Ziggy Baby, and the free pattern for the fabric beach balls found here. Off Track with a jelly roll of Bounce and this green background fabric (my favorite shade of green!). 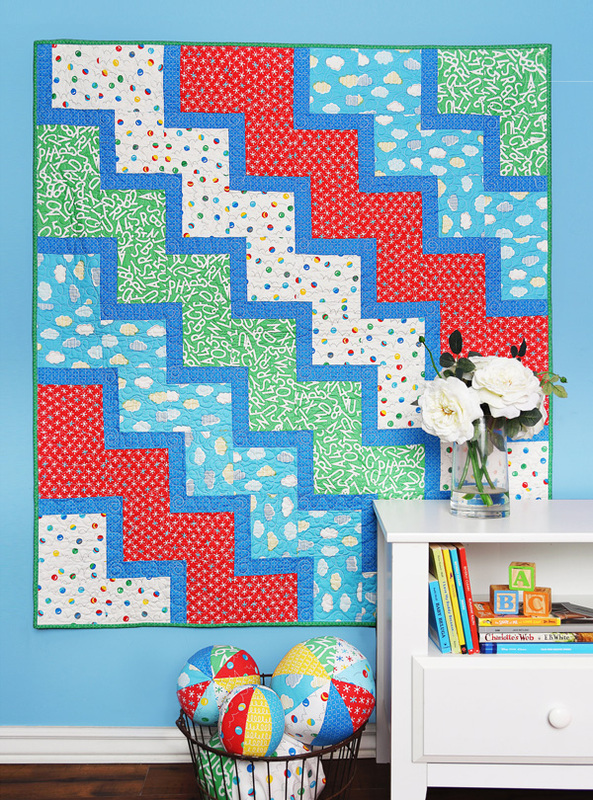 The Libby pattern, so fun in this fabric and fast! Rainy Day Jr. free pattern found here, I used her alternate directions that only use one fabric for the cloud, but I can’t see it on her site anymore. Geranium dress in the gray floral on Jane that I bribed with a sucker (you can tell she was done with pictures by her little fists LOL!). 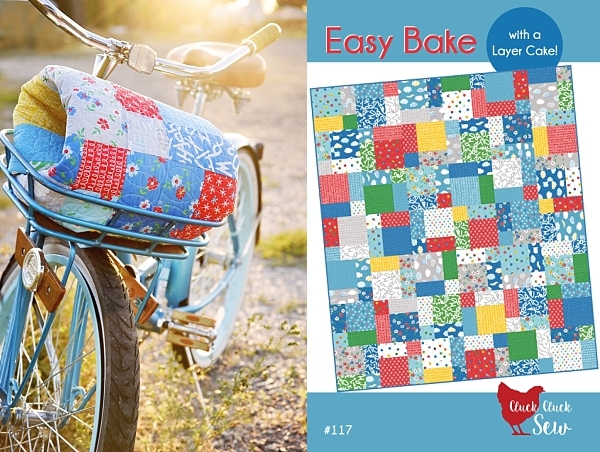 My Easy Bake pattern got a new cover with Bounce, made with one layer cake. 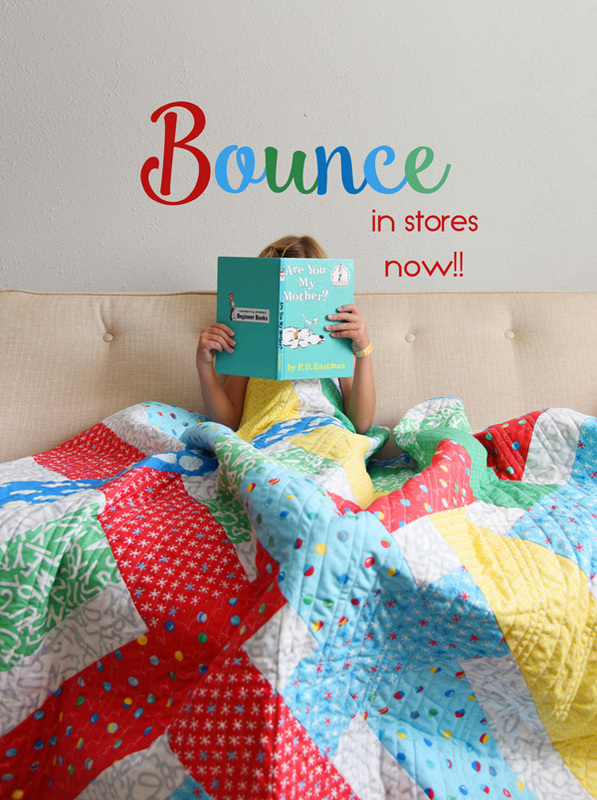 Check your local quilt shop for Bounce now, and you can also find it in shops online as well.